The Supreme Court retreats from Crawford on hearsay | Jon Katz, P.C. 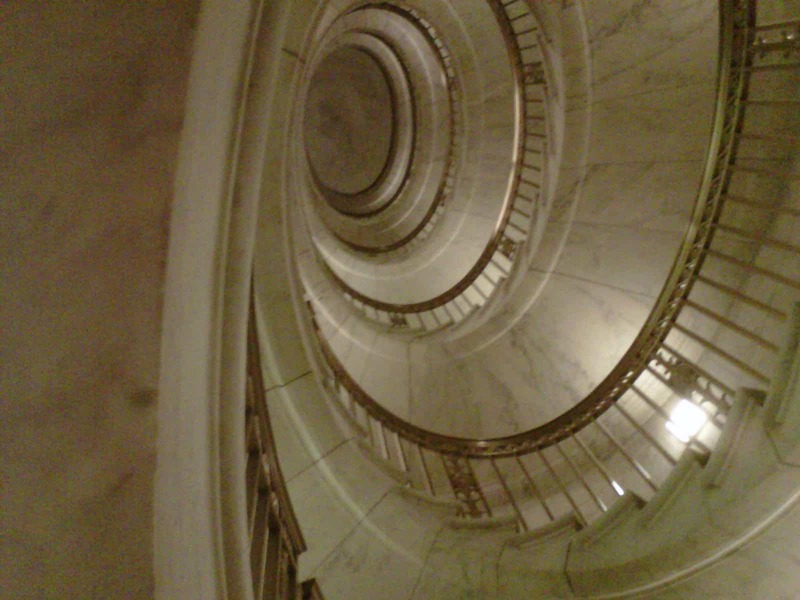 Supreme Court’s spiral staircase. Copyright Jon Katz (photographed October 2010). Today, the United States Supreme Court substantially retreated from Crawford v. Washington, 541 U.S. 36 (2004), in determining that the Sixth Amendment’s Confrontation Clause was not offended where the state trial court allowed into evidence the victim’s dying declaration fingerpointing the defendant. Michigan v. Bryant, ___ U.S. ___ (Feb. 28, 2011). Granted, the Supreme Court is not bound by its precedents — but it is fully bound to the Constitution, which it disobeyed in Bryant — although the court generally places great importance on the principle of stare decisis, lest the public and the lower courts have no confidence whether Supreme Court’s decisions will shift like the rains and winds. Here, the Supreme Court would have been on the right track to have kept Crawford and the Sixth Amendment Confrontation Clause undiluted. Thanks to Justices Scalia and Ginsburg for dissenting. Justice Sotomayor penned the majority opinion, joined by Chief Justice Roberts, and Justices Kennedy, Breyer, and Alito. Justice Thomas filed a concurring opinion. Justice Kagan took no part in the consideration nor decision in the case.